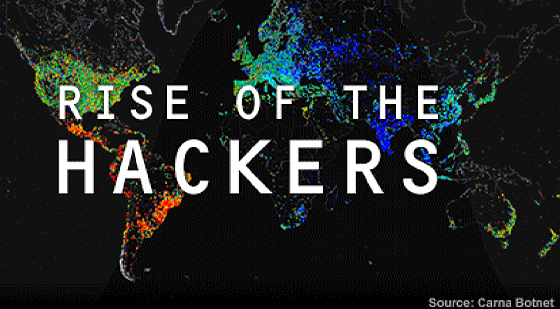 “Rise of the Hackers” appeared in November 2014, but the digital security challenges explored in this exceptional documentary merit full mention here. Click Rise for the full piece, and rewind to explore concepts such as “ultra-paranoid” computing; the Stuxnet worm that hacked Iranian nuclear plants, and was launched by the United States and Israel in 2010, according to the piece; quantum machines cracking code in temperatures colder than deep space; and subconscious passwords, through muscle memory, specific to each user. Remember prime and subprime numbers? They are so yesterday, but still so today: Prime and subprime numbers, or RSA (Rivest-Shamir-Adleman) encryption, still represent the foundation of our current Internet and our exponential faith in it. According to the computer scientists in this documentary, RSA is at risk of being cracked, which could bring down the Internet as we know it if we do not enlist more powerful systems like quantum computing and smarter passwording. Except for the threats of nuclear war, which have hung darkly over humankind since the 1940s through today, the never-ending battles to secure and steal information represent the very present and future of sustained warfare — more precisely, digital information for power grids, water plants and other vital societal systems — that is begged, borrowed or most likely stolen. The revealing and frightening “Rise of The Hackers”, PBS’s Nova documentary from 2014 and re-broadcast in May 2015, informs us that keyboards, not bombs, are what should keep us awake at night. The well-known Target and Bank of America cyber-hacks represent proverbial tips of digital glaciers. Hacking: Teens do it; terrorists and criminals do it; banks, financial lenders and borrowers do it; large nonprofits, international causes and charities do it; and nations, governments of all kinds, good ones and bad ones, do it. Many say the worldwide Anonymous “hacktivist” group is good, but others argue it is bad. Hackers are used for good purposes, for example to fight terrorism, crime and underworld activity, although one must think most hackers are criminals bent on theft, harassment or even simple DOS (Denial of Service) attacks on individuals, companies and countries. Our quests to be social and reach out to people and institutions next door and around the globe, combined with our perceived and (created?) demands for the conveniences of living digital lives, put us in peril. But great minds are working to heighten security through ever-strengthened encryption, subliminal passwords, ultra-paranoid computing and quantum computers, according to “Rise”. This entry was posted in Anonymous, Hacking, Internet of Things, Security, Web Design on May 24, 2015 by admin.